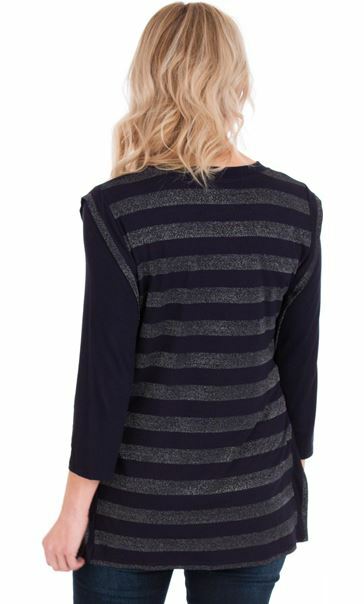 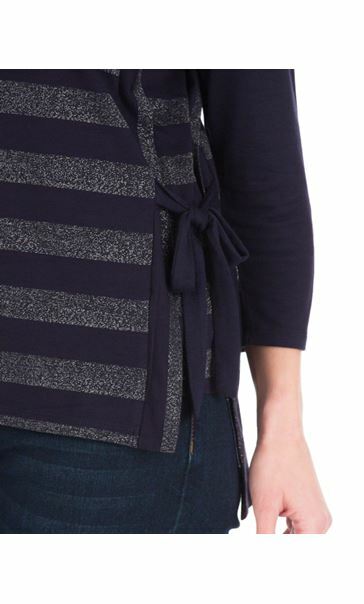 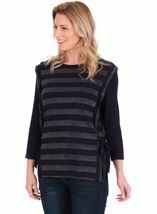 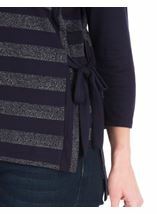 Relaxed fitting lightweight top with three quarter length sleeves in a navy hue with silver coloured stripe detailing, ideal for your casual looks. 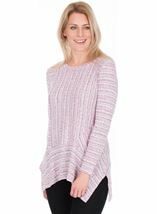 Featuring a round neckline, side detailing and finished with side tie for added allure. 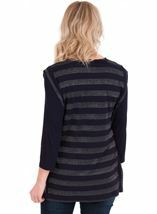 Back length 73cms.